Jerry Brown has a six-figure investment in Edgewater Park Plaza, an East Oakland office park that is owned and managed by CCIG, the company leading the charge to transport dirty coal through Oakland. Despite his preening declaration that “90% of the coal must stay in the ground” at the Vatican and in Paris last year, Jerry Brown is a “climate pretender,” not the climate hawk he purports to be, say activists from No Coal in Oakland. Despite entreaties from Jesuit priests, health care providers, NCIO supporters, the San Francisco Chronicle, and other opponents of developer Phil Tagami’s scheme to ship millions of tons of coal through Oakland each year, Gov. Brown has been silent on this climate-busting project. An article soon to appear in the June issue of Oakland Magazine may explain why the governor has kept so quiet. Author Robert Gammon reports that Brown has financial ties to a company that could profit greatly from shipping coal through Oakland. That company, CCIG, is owned by the developer who signed a 66-year lease with the City in February to operate a bulk commodities terminal at the foot of the Bay Bridge. 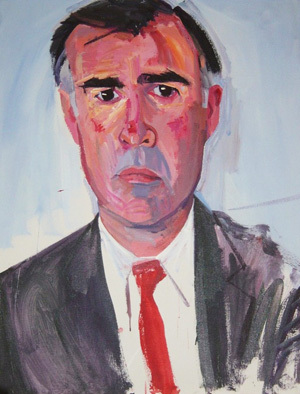 Gubernatorial portrait of Jerry Brown. Brown has been as silent as his portrait on the plan to make Oakland a major coal export hub. While serving in a variety of elective offices, Jerry Brown amassed a small fortune in real estate investments, thanks, in part, to his close relationships with developers he used to regulate during his years as mayor of Oakland. Among these investments, according to Jerry Brown’s latest public disclosure of economic interests, Brown owns a substantial chunk of Edgewater Park Plaza LLC, which owns an office park at 7700 Edgewater Drive in East Oakland. Edgewood Park Plaza LLC is a subsidiary of California Capital & Investment Group (CCIG), a company owned by Tagami and friends, that is at the heart of the coal deal. Oakland Magazine‘s Robert Gammon reports that legal papers filed by Edgewater’s attorney in Alameda County Superior Court last summer reveal the corporate hierarchy that, says Gammon, “means CCIG controls Edgewater–a company in which Brown’s investment share is valued at $100,000 to $1 million.” California law does not require public officials to be more specific about the value of their financial interests. No Coal in Oakland has found several documents online that confirm Gammon’s conclusions. 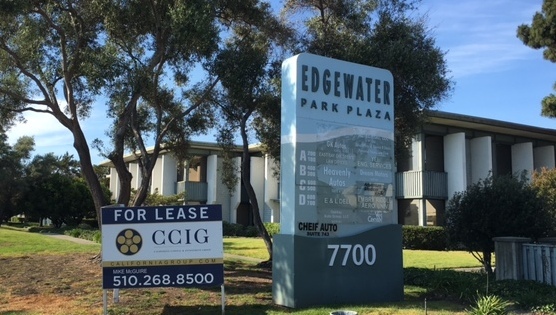 A rental prospectus for the 205,000-square foot office park states that 7700 Edgewater Drive is “owned and managed” by CCIG. Edgewater Park Plaza LLC, the company in which Brown holds a substantial investment, advertises its address as 300 Frank Ogawa Plaza, Suite 340–the suite in which CCIG is headquartered. Edgewater’s agent for service of process is listed with the California secretary of state as Damian Fink, also at Suite 340. Fink is CCIG’s chief operating officer and managing broker. A question: if CCIG owns Edgewater, and Jerry Brown owns a piece of Edgewater, are intricate financial relationships what’s keeping the Governor from making good on his headline-grabbing declarations at the Vatican and in Paris?